The Reaction Research Society (RRS) held our first monthly meeting of the new year, Friday, January 11, 2019. 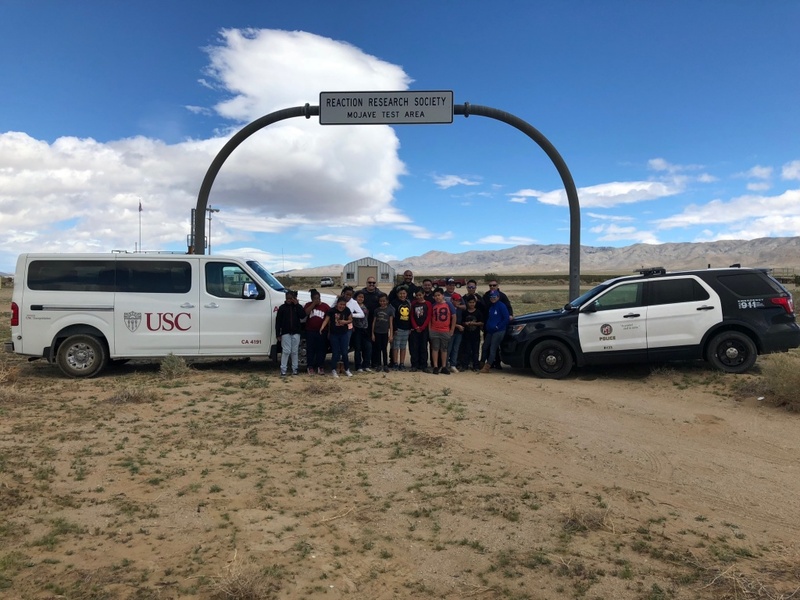 We had a good turnout and a couple visitors from Compton High School. We thank Daisy Guevara and Jonathan Martinez for coming out to the RRS. January 2019 meeting welcomes our guests and new members. The RRS has student memberships available to those interested in becoming involved in our amateur rocketry society. To join as a student member, under 18, you must have your parent or guardian approval. Joining the RRS is the same as those seeking associate membership. The RRS website has a “Forms” tab where you can download our PDF membership application. Student membership at the RRS is $20/year. Regular membership is $40/year. On the subject of membership dues, the RRS gives a reminder to all of our membership that you should keep your dues payments current. Like many in the society, I renew my membership at the start of the new year. The “Donate” button on the RRS website leads to PayPal where you can pay your membership dues. Please add “Member Dues” and your name to the notes. Others may make payment to the RRS president. We also took time to welcome our new RRS members, Dmitri Timohovich and Waldo Stakes. With the customary reading of the treasury report, we began the agenda. The first topic was about the RRS members that are working on attaining their pyrotechnic operator (pyro-op) license for rocketry. The California Fire Marshall’s office governs the licensing of different classes of pyro-op for theater, movies and amateur rocketry. The RRS has been on a campaign to expand our roster of pyro-op’s to both improve the knowledge of the subject as our membership and number of events annually grows. Dmitri has a lot of professional experience in pyrotechnics and a lot of practical advice for applicants. Making copies of all your application documentation including your letters of recommendation is very important. He also shared some of his insight in how to best work with the California Fire Marshall’s office. Our second topic was to talk about the RRS improving our social media presence. The Reaction Research Society has an Instagram account, a Facebook page and our YouTube channel (note that our name is truncated here), but we can always use more content. We need to find ways of expanding our presence in these areas to reach a wider audience. As the RRS embarks on more projects, we will have good stories to share. As both of our Media Officers, Bill Janczewski and Alastair Martin were away for the meeting, we’ll return to this topic at the February meeting. Larry Hoffing, our events coordinator, spoke about the RRS becoming more involved with Spaceport L. A. He has been in contact with Curtis Iwata and has had some discussions regarding the RRS joining a future Spaceport LA event. Spaceport L.A. is also on Facebook. 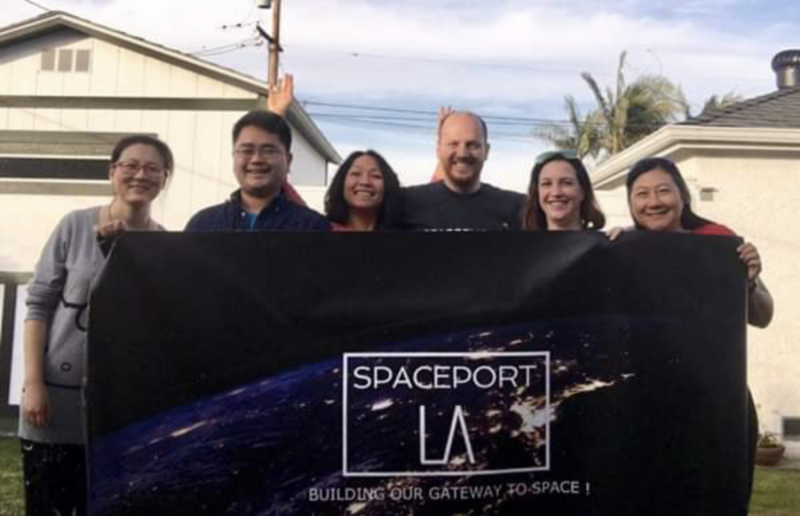 Similar to the RRS, Spaceport L. A. is a non-profit group of aerospace professionals volunteering their time to hold events of interest to the public. Spaceport L.A. has attended the RRS symposium in the past. 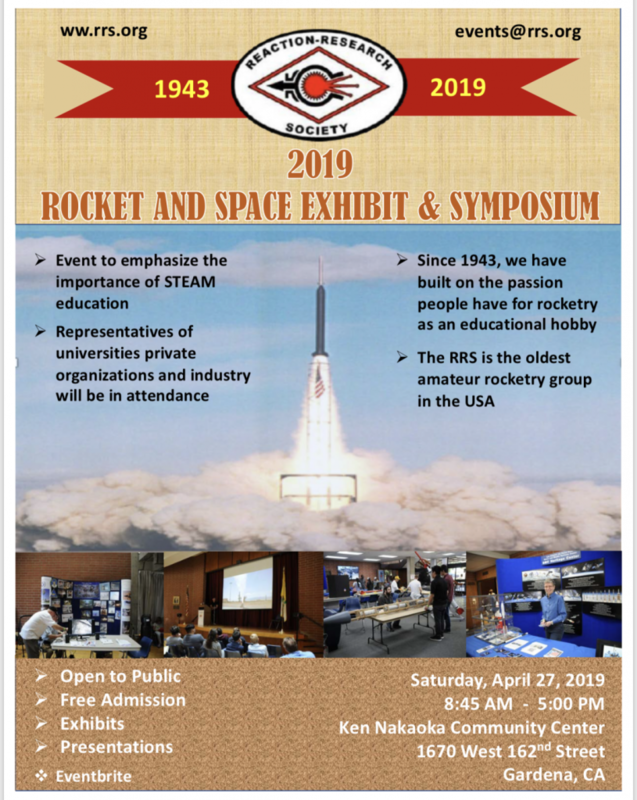 We hope to have Spaceport L.A. be one of our exhibitors at the 2019 RRS symposium on April 27th. We had a good discussion of potential facility improvements at the RRS Mojave Test Area (MTA). The addition of the road sign at the first gate to the RRS MTA gives us a better way to welcome our guests. Our metal arch road sign at the MTA site entrance is also holding up nicely for two decades and still looking great. Improvements such as upgrading our restroom facilities and the central blockhouse are under detailed discussion. Osvaldo, our society president, has been leading this effort getting estimates and making a proposal for the society to review. It will be substantial investment in our facilities, but certainly well worth it to not only the society but the many guests we have from the city. Creature comforts are always appreciated. Other MTA improvements such as replacing a damaged panel on the thrust stand structure. 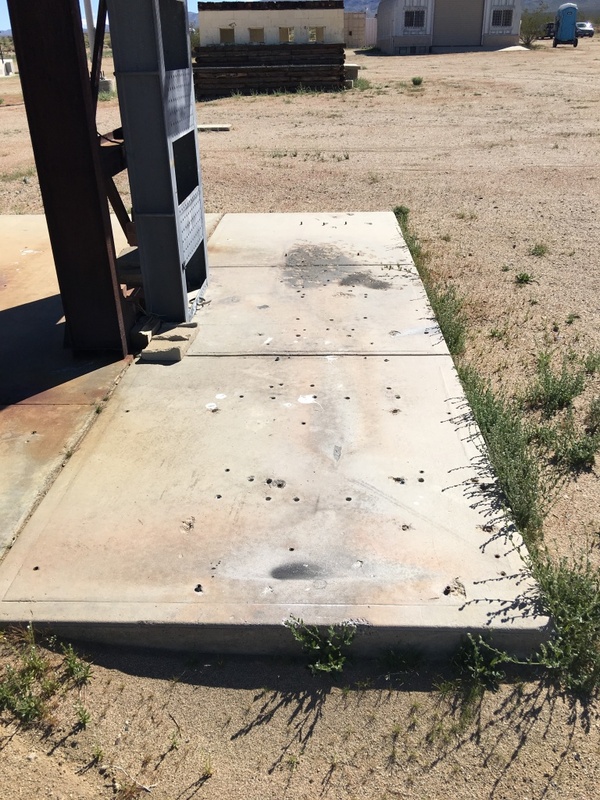 This 3/8-inch thick steel plate panel was permanently deformed by nearly an inch many years ago from a static test explosion. The goal would be to cut out the old panel and weld in a replacement while maintaining the positional accuracy to the overall design as best as possible. We have a waterjet machining provider willing to make a replacement set of plates once we can verify that the hole size and pattern is accurate. We also discussed a project to run an electrical wiring trench between the observation bunker and the RRS alpha rail launcher will make conducting our school events easier to do. Anything to make set up more convenient in the hot summer months in the Mojave Desert is worthy of serious consideration. The material and equipment rental costs do not look to be prohibitive and the RRS may be able to get the conduit and panel materials donated. We also talked about how to improve the mounting pad commonly used by our university rocketry groups over the years. The concrete slab has several male anchor bolts that protrude from the concrete causing a serious tripping hazard. They are also not in a regular pattern which other groups could use. This has been a frequent source of annoyance at the RRS and a better more regulated approach to mounting experiments is clearly necessary. One solution is to cut away and grind down all male anchor bolts and install custom fitting trench plate with a pre-drilled and tapped bolt pattern on a regular grid pattern. This will be easier in the long run for several groups to bring their thrust stand hardware without having to match machine hole patterns by being present at our site. The regular grid pattern of holes would be described in an RRS interface specification that different user groups can use when designing their thrust stand attach points (remembering to oversize the mounting holes to allow for variation). 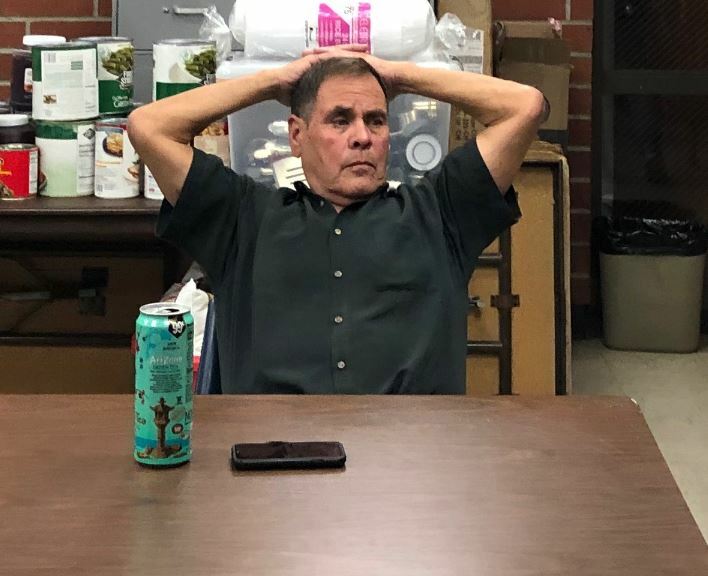 Frank, the RRS symposium coordinator and society vice president, talked about the preparations that have begun for the 2019 RRS symposium. Invitations to potential speakers have began to be sent out. We didn’t have a lot of time to get into the specific assignments, but we will be talking a lot more about this subject at the February meeting. Frank has made our first flyer for the 2019 RRS symposium. The topic of forming an RRS Constitutional Committee had to be tabled for the next meeting. This is an important subject that will be addressed in further detail with our membership. Likewise, the RRS participation in the Rocket Talk Radio podcast project had to be tabled for the next meeting. Rocket Talk Radio is a project by Alastair Martin’s company, Production Tribe LLC. Quarterly update for the SuperDosa project was limited. Osvaldo had reported that Jack Oswald’s next ballastic test motor is nearly complete and that his RRS project team will be conducting test series to better characterize his solid propellant mixture. Jack has also made changes to his first prototype motor fired in June 2018. About once a year, the RRS (some years) has its monthly meeting in a new location. In 2019, the RRS has found a new meeting location for the February 8th meeting. RRS members, Xavier Marshall and Wilbur Owens are members of the Experimental Aircraft Association. 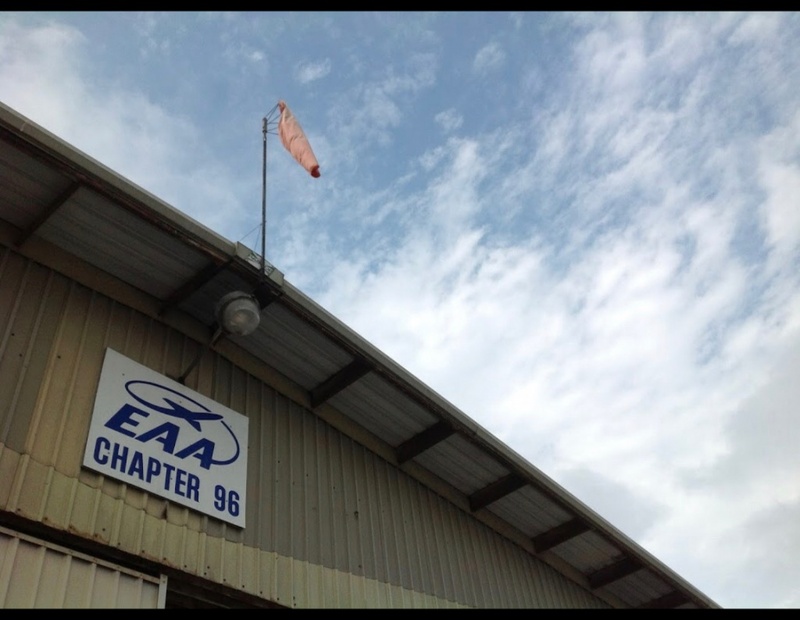 Chapter 96 of the EAA is located at the Compton Airport. 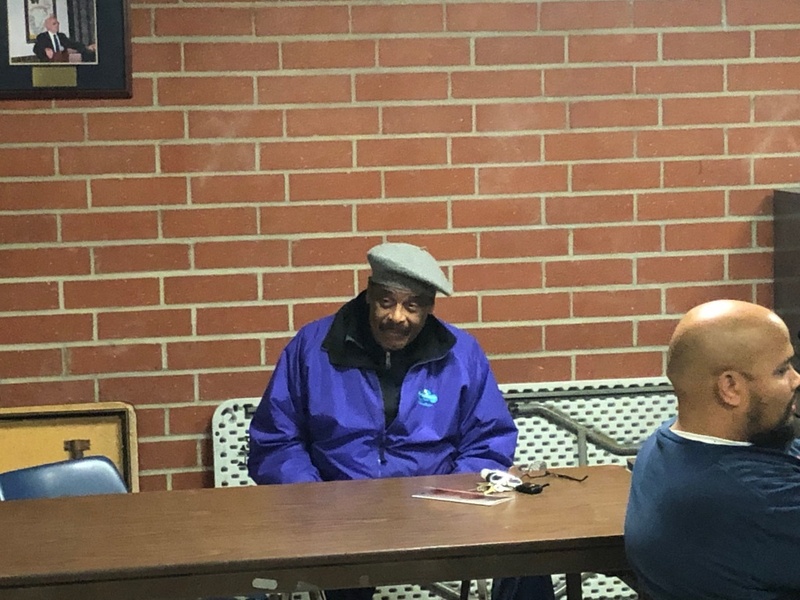 Xavier had offered the RRS the use of the EAA 96 hangar’s offices, so the RRS will hold our February 8, 2019 meeting at the same time, 7:30pm. This is only a temporary change for February only just to allow our membership to visit the EAA organization and tour their facilities. Xavier will provide more details on how our members can get access at the Compton Airport. I will share these details on this website at about 2 weeks prior to the event. 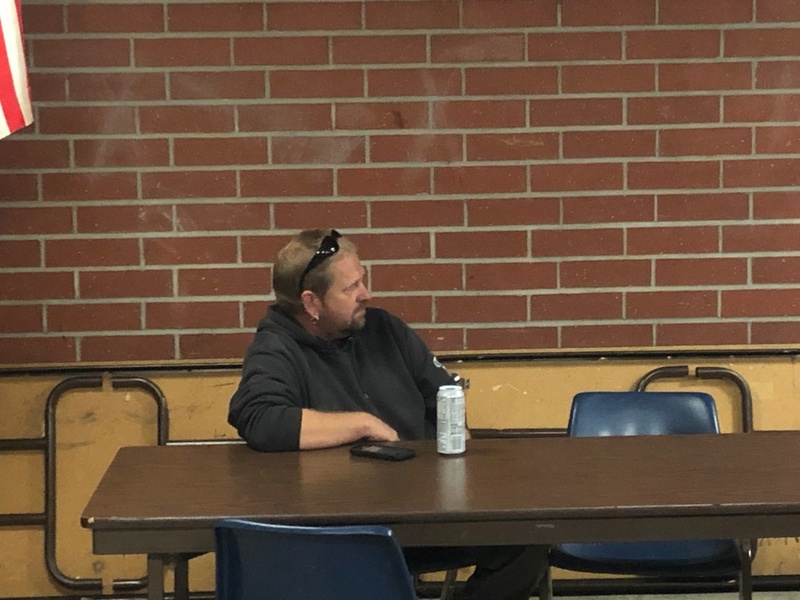 Long-time RRS member, John Mariano, paid us a visit to the January meeting. John has been busy with his new business venture, Celebrity Coffee. 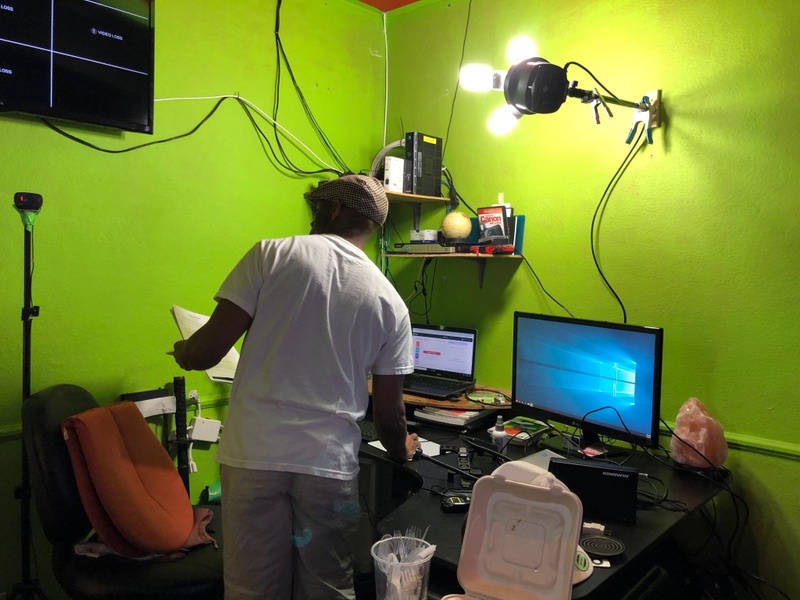 His business will be a local coffeeshop featuring music and a warm environment to his customers. We hope to visit his shop soon. The RRS is getting ready to start another school event through the Los Angeles Police Department’s (LAPD) Community Safety Partnership (CSP). With the looming Los Angeles teacher’s strike, the start date could get moved. We plan to hold the final event of this series at the RRS MTA as usual. This launch date would likely be middle to late March. More details to be coming soon. We adjourned well past the Ken Nakaoka Community Center closing time of 9:00PM. Our next meeting will be on Friday, February 8, 2019 at 7:30pm. Again, please note that this February 2019 meeting will be held at the Compton Airport at the EAA 96 hangar. Please arrive between 7:00pm and 7:30pm as the EAA must let our attendees in through the Compton Airport gates. 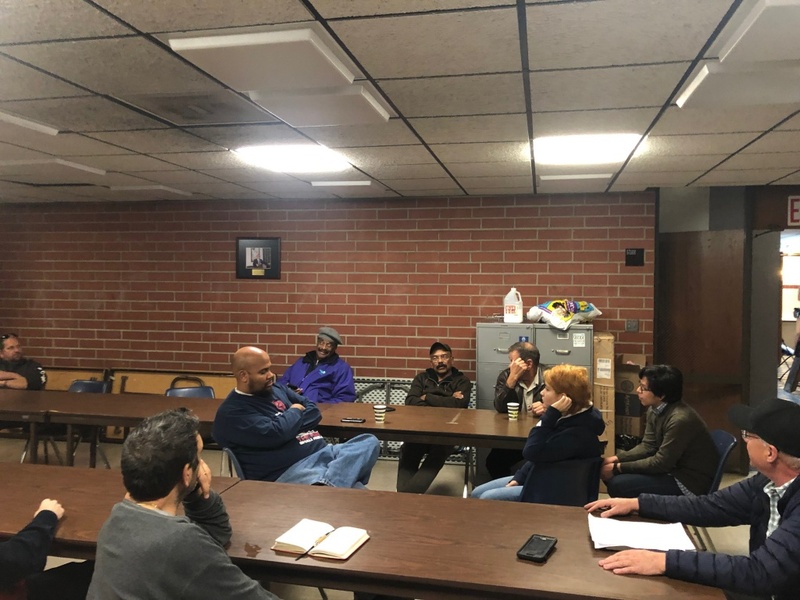 Also, please note that this is not a permanent change of location as we will hold our March 8, 2019 meeting back at the Ken Nakaoka Community Center in Gardena on our regular 2nd Friday of each month.